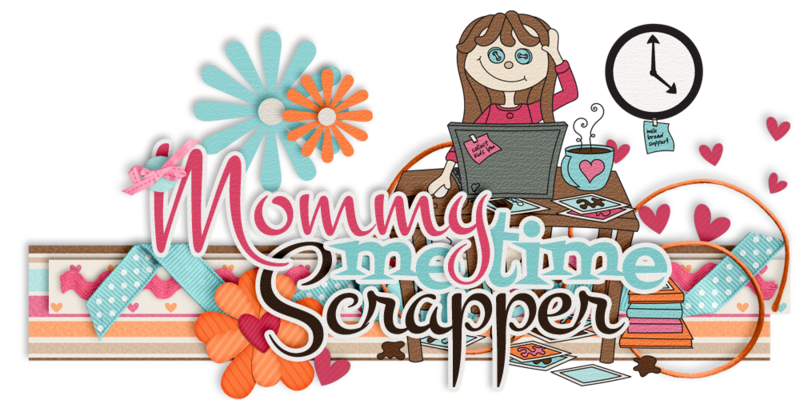 Mommy Me Time Scrapper: "Never Grow Up" Full Digitial Kit - Plus Freebies! "Never Grow Up" Full Digitial Kit - Plus Freebies! Mommy Me Time Scrapper and Growing Pains Scrapped have teamed up again to bring you another fun Disney inspired kit! “Never Grow Up” was inspired by Peter Pan. A mischievous boy who can fly and never grows up, Peter Pan spends his never-ending childhood adventuring on the small island of Neverland as the leader of his gang, the Lost Boys, interacting with mermaids, Native Americans, fairies, pirates, and occasionally ordinary children from the world outside of Neverland. 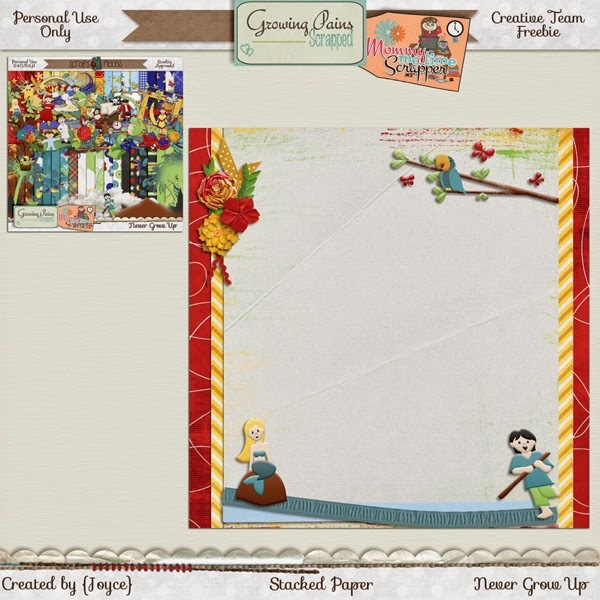 “Never Grow Up” is another must have for your scrapbook stash, as it is full of bright, fun, themed elements and papers. It will give you many layouts of scrapping fun, whether your scrapping your own, “lost boys”, your beautiful fairies, Halloween pirates, or even just a fun family outing! Full kit contains a full alpha (uppercase/lowercase/numbers and symbols) and 40 papers! In addition, there are 100 elements, including flowers, a mermaid, pirate (and his ship! ), fairies, stars, palm trees, and so much more! Also available is the coordinating 11 grunge and 11 cardstock papers, as well as the coordinating QP set which are beautifully made using the papers and elements from the full kit! Here are some fabulous layouts created by our Creative Teams! Here are some fantastic freebies! But, hurry and grab them now because they won't be around for long! 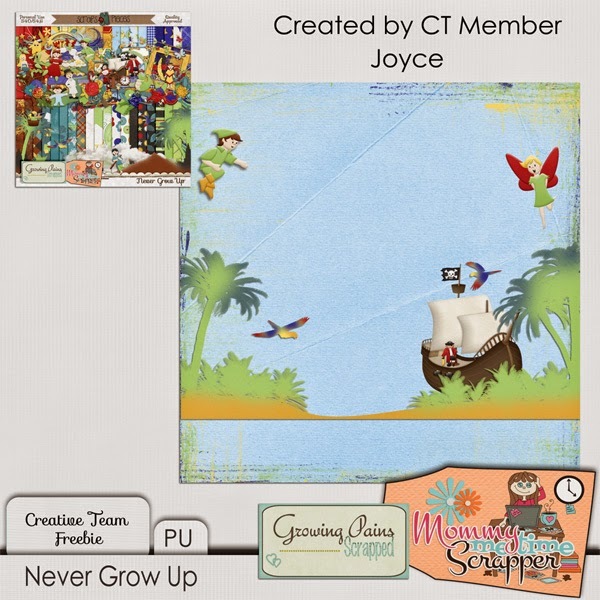 This freebie by Joyce is available for direct download here.